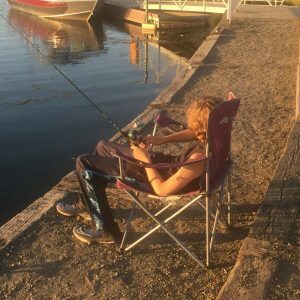 July 28, 2018 0 comments on "Where to Take Kids Fishing in Washington State"
February 9, 2018 0 comments on "How to Make a Crawdad Trap"
How to make and bait a DIY crawdad trap. 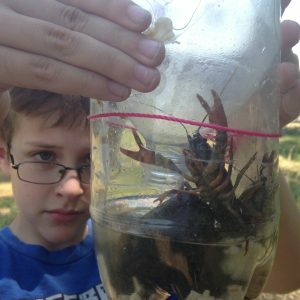 Fun nature and science activity for kids. 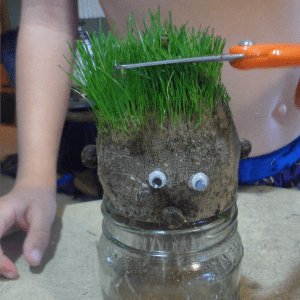 April 22, 2016 0 comments on "How to Make Grass Heads"
If you are looking for easy kids crafts, these grass heads are really fun and easy to make and your kids will love cutting their grass "hair". June 10, 2013 0 comments on "How to Make a Homemade Lava Lamp"
May 7, 2013 1 comment on "4 Fun Camping Recipes for Kids"